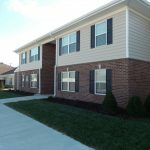 The Women’s Addiction Recovery Manor (WARM) is an inpatient recovery program for adult women seeking recovery from substance abuse and addiction. 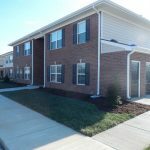 The mission of the campus is “to provide a drug and alcohol free environment for tenants, their families, and guests of the property.” The facility is a non-profit organization and an affiliate of the Recovery Kentucky Initiative. The early phases of the recovery require clients to stay in a group living environment where they are held accountable by their peers. 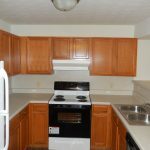 As clients progress through the recovery, they have the opportunity to reside in true apartments. 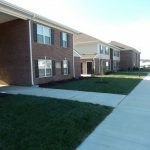 Throughout the client’s time at the center, they are taught independent living skills and learn to become responsible for their own personal care as well as caring for their own living environment. 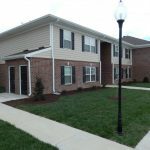 Currently under construction, the Women’s Addiction Recovery Manor Residences II apartment complex provides 32 two-bedroom units with a bathroom, a full kitchen and washer/dryer hookups in each unit. A storage room for each apartment is located on either end of the two-story residential buildings. Also featured on site is ample parking, a playground, and secured mailboxes. A community building also provides a large activity room, a community room with kitchen, an office, and restrooms. 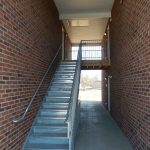 Phase I of this project is the Women’s Addiction Recovery Manor Residences.